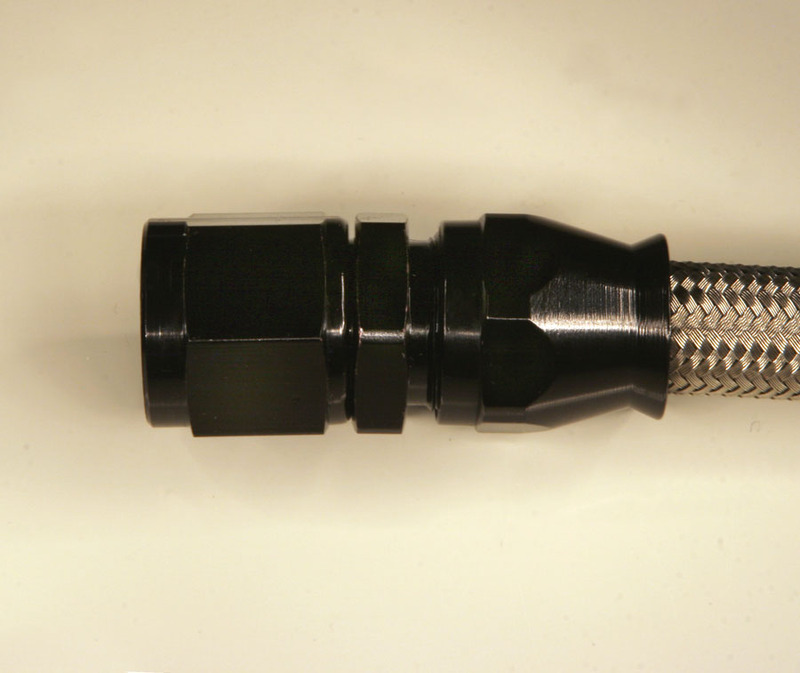 TechAFX aluminum, swivel, AN Fittings are designed & tested to work with TechAFX conductive core (carbon-lined), PTFE braided stainless hoses. 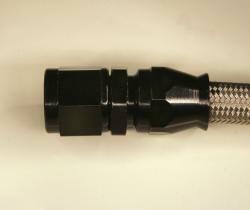 TechAFX -10 Black, Aluminum, swivel, A-N Fittings for PTFE Hose. We're proud to be the 1st company to offer a complete selection of the new -10 sizes. Everybody wants 'em, nobody's got 'em, except TechAFX! All TechAFX A-N fittings are MADE IN U.S.A. & proven to meet the tough standards of the U.S. Military.